For couples, February is the Love month, no doubt about it, but for singles like me, well, there's no need to pout because we can spend our time appreciating and "loving" this month through some art works showcases in different art galleries because February is also the Art Month. 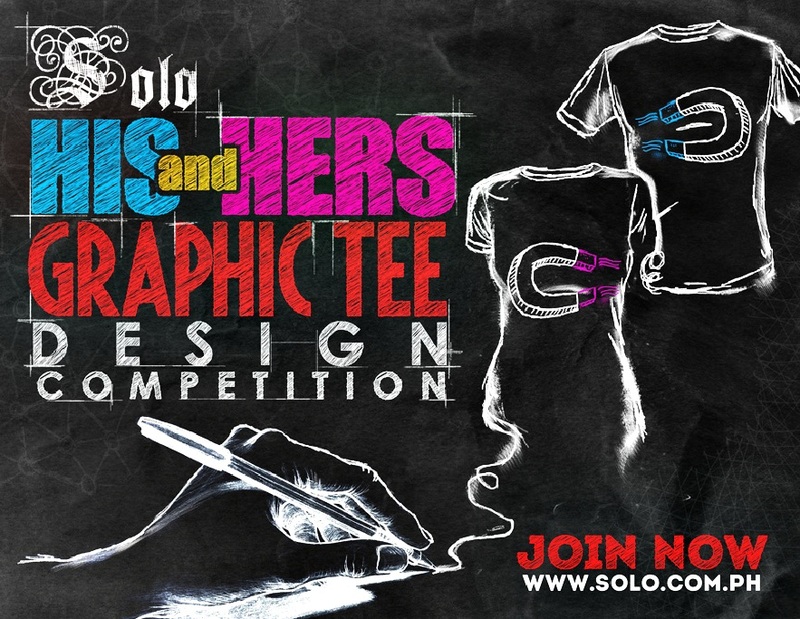 And SOLO is joining the hype of this Art Month by announcing their His & Hers Graphic Tee Design Competition! 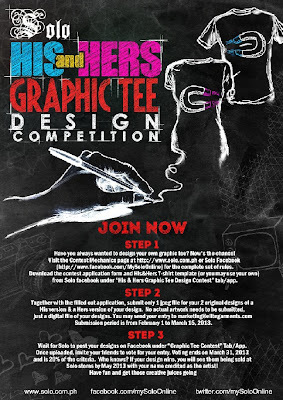 Set to showcase the talents and creativity of our young artists - this first ever His & Hers Graphic Tees Design Competition will share the wonderful smell of "TEE" spirit among the youth and will give them an opportunity to express their feelings towards art and love. 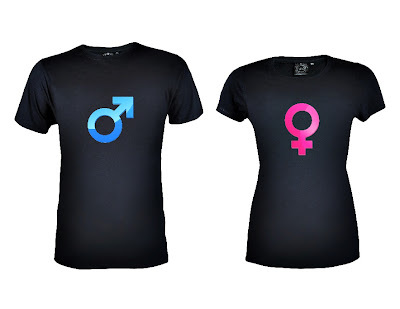 The challenge is to submit 2 designs of a His version & a Hers version graphic tee design. Winners will have the chance at fame, fortune and bragging rights as his or her designs will be produced by Solo and will be sold in stores as part of its His & Hers Back to School Collection. Please note that the winners' name will credited for the others to see who made the design. To join, you just have to create your art (don't forget to have fun with it) and submit it online. 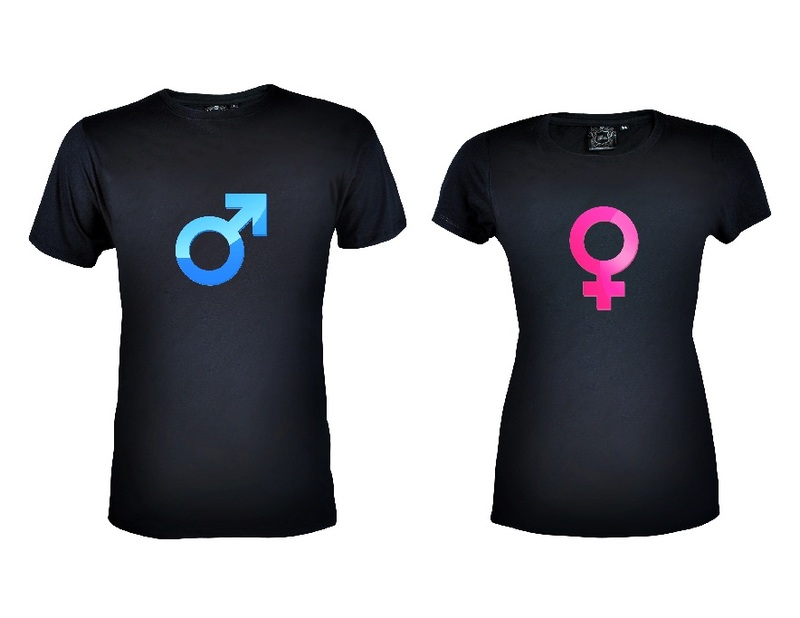 All approved designs will be uploaded in Solo’s Facebook Page for voting. Online community votes and comments on your design will help Solo decide which design should win - online voting is 20% of the criteria - so make sure that you'll spread the word and promote your design/s among your family, friends and friends of friends. And to get ‘thumbs-up’ from Solo for your submission, make sure also that your designs adhere to Solo’s image and consider print-ability. The submission of entries is from February 1 to March 15, and voting period is from February 1 to March 15, 2013. Three designers will emerge as Grand Winners at the end of the competition and each winning artist will receive Php15,000 cash and Php10,000 worth of Solo Gift Certificates. 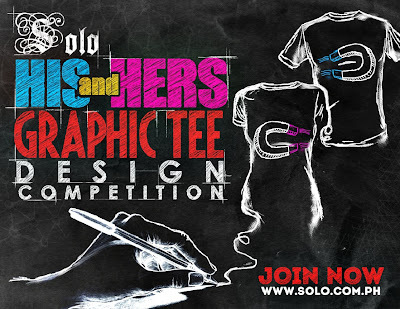 To learn more about Solo’s His & Hers Graphic Tees Design Competition, you can visit their website www.solo.com.ph, Facebook Page facebook.com/mySoloOnline and follow them on Twitter @mySoloOnline.